1. VET staking rewards are calculated every Monday at 0:00 (GMT +8). 2. Staking rewards are distributed weekly every Monday between 0:00-2:00 (GMT +8) to users' Cloud Wallet accounts. 3. Staking rewards are in the form of VTHO. 4. Users that deposit VET into the staking wallet before a given Monday will not begin staking their deposit until the following Monday. In other words, if a user deposits VET on a given day, their staking rewards begin to accumulate on the following Monday at 0:00 (GMT +8) and they will receive their reward the Monday after that. 5. Staking reward = last Monday's deposit value*weekly return rate. 1. Minimum deposit to participate is at least 100 VET. 2. There is no transaction fee for transferring VET from your Cloud Wallet to the staking wallet. 3. There is a 50 VET transaction fee for every withdrawal from the staking wallet. VET naturally generates VTHO at a rate of 15% annually, amounting to about 0.00042VTHO per VET each day. 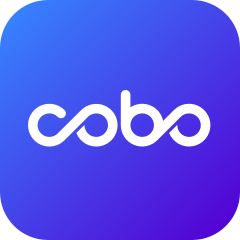 Cobo distributes VTHO every day at 14:00 (GMT +8) to users' Cloud Wallet accounts for VET stored in the Cloud Wallet in the last 24 hours. The amount of VET for each user is calculated via a random snapshot at any time within the last 24 hours. By storing VET in our staking wallet, users can compound VET natural generation and POS staking to reach an annual rate of 24%.